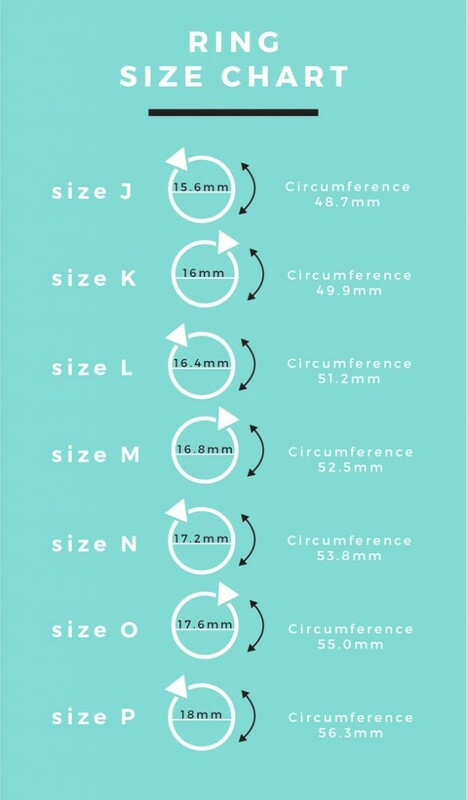 To help ensure that the jewellery you order from Ayana is the correct size, use this handy size guides. 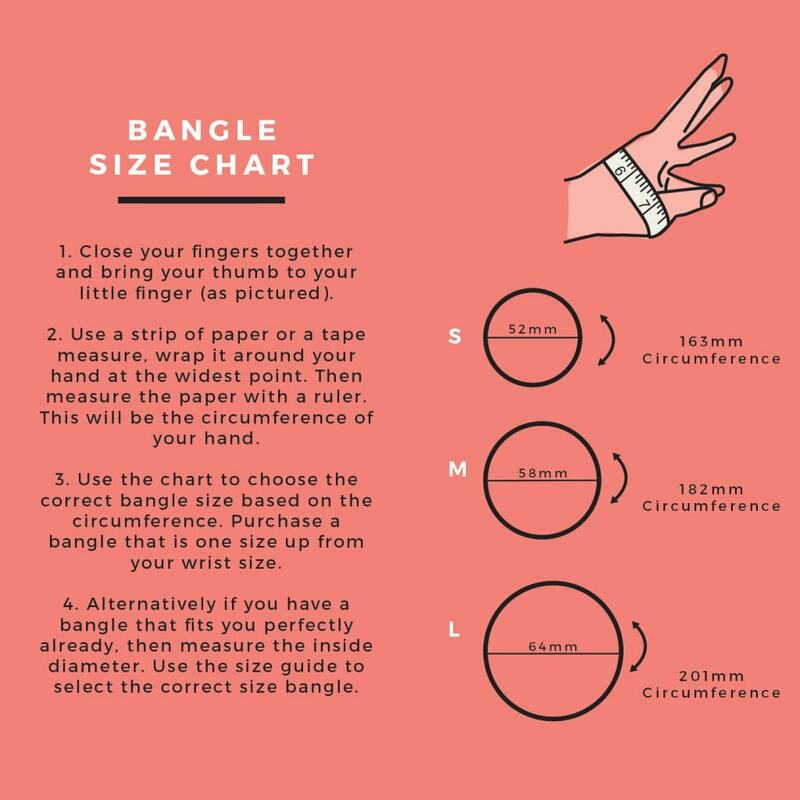 Check out below for hints and tips to help you measure the size for your Bracelet, Bangle or Ring. 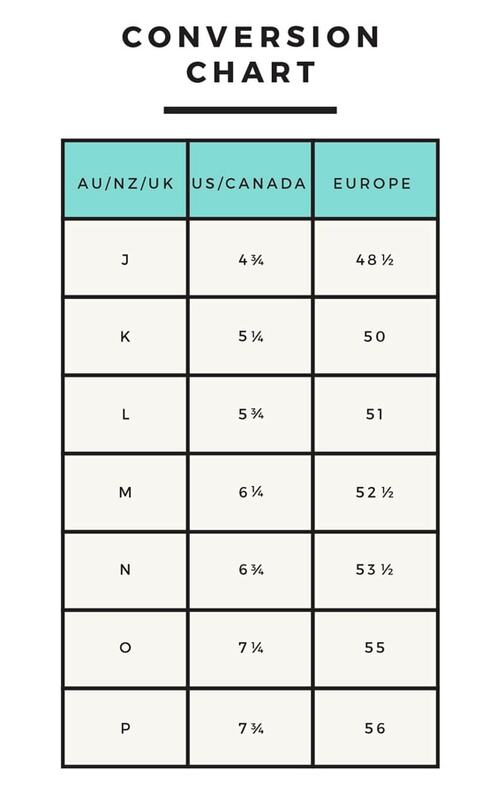 You can also download our size guides too! See below. All Ayana Bracelets come with 3-link extension chain with a range of 16cm – 19cm. If you need a size outside of this, or would like a custom size please specify at checkout. Keep in mind that your two hands may differ in size, so a bracelet/bangle worn on your left hand may not fit quite right on the right hand. If you are hesitating between two sizes, choose the larger size. Please note that the style of bracelet/bangle will also affect the choice of size. 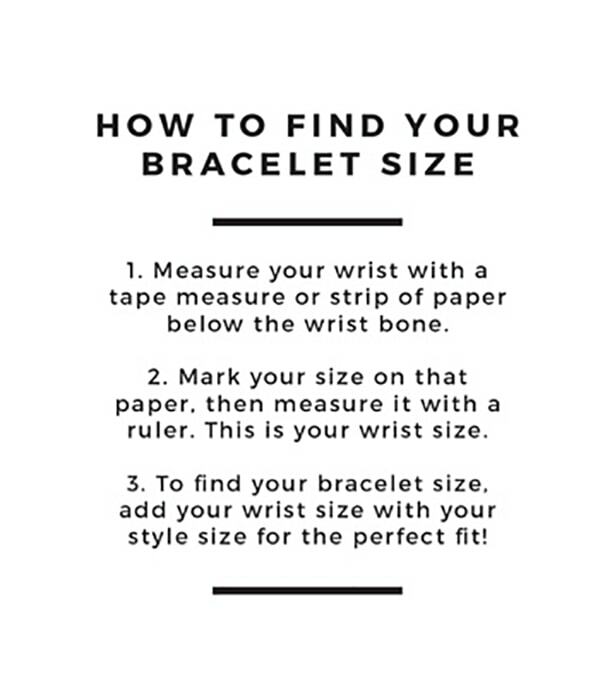 Print your copy here: Bracelet Sizing Printable – Yippee! Measure your finger towards the end of the day. Do not measure your fingers when it is hot or cold. Keep in mind that your two hands may differ in size, so a ring worn on your left hand may not fit on the right hand. Always measure the circumference around the base of your finger, past the knuckle. If you are hesitating between two sizes, choose the larger size. Please note that the style of ring will also affect the choice of size: a large ring is made to be worn more loosely than a smaller design. Feel free to contact us if you are unsure. If you’re still in doubt, it is best to pop to your local jeweller to get your ring size measured perfectly! 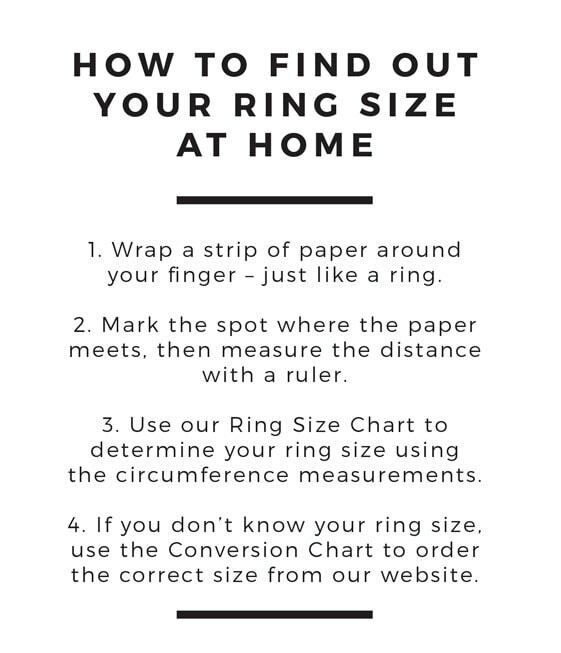 Print your copy here: Ring Sizing Printable – Yippee! If you are unsure, or need some extra help to get the correct measurement, please Contact Us!